Make a sale − that’s the easy part. Now comes the hard part: Doing everything else. That’s why it’s imperative that salespeople look at the sale as one small part of the selling process. The easy one. Making the sale is not just the money and the victory. It’s also the foundation for a relationship − as long as the rest of the process flows as you have sold it. Too often salespeople “sell and run,” leaving the details of delivery, installation, coordination and exceeding expectations to someone else. Big mistake. If you’re in sales, and you’re looking to make a successful career of it, you have a responsibility that extends way beyond a signed piece of paper. After a sale there is an expectation for delivery. Salespeople tend to delegate this process as much as possible, because they want to make the next sale. Quickly. Perform as expected. Both as a person and a product, the customer wants top quality, regardless of the price they paid. They also expect a quality person to be there to see things through. Customers remember promises that salespeople make, most times better than the salespeople who make them. If the promises are kept everyone wins. If the promises are not kept, the salesperson loses. Customers are counting on you to know your stuff as it relates to their purchase. They expect you to anticipate needs, coordinate details and handle every aspect of the “after the sale” process. When you get a call for service, DO NOT PASS IT ON. Handle it yourself. Customers don’t want or expect a runaround, they just want it handled, and expect it from you. I have stressed value messages since I began mine. Until the initial process is delivered, and everyone has been trained or is comfortably using your products and services, communication should be frequent, and communication to customer requests, immediate. After that, you build value towards the NEXT sale by staying in touch with (in front of) every customer every week. It may be something as simple as fast service or personal phone calls. But however your customer defines WOW!, you better be executing it. After the sale, salespeople know how to celebrate but seem to forget the prime fact that the customer didn’t just buy your product or service, they bought YOU. In fact, they bought you FIRST. And they feel let down, even abandoned, when the person they have faith in abandons the process after the deal has been consummated. The best thing a salesperson can do to avoid any awkwardness on their part, or disappointment on the customers part, is to set expectations and details for delivery BEFORE the sale is completed − or, if you’re chicken to make full disclosure (as many are), immediately after the contract is signed. If you do everything I have outlined, I can assure you two customer responses. They will buy more, and they will buy again. When this occurs, it’s not just a reason to celebrate, it’s a report card that you are doing what the customer expects you to do, not just what your company dictates as policy or procedure. And it creates the basis for relationship. NOW, you can ask for a referral and get one. NOW, you can call them on the phone and they’ll return your call. NOW, you have earned the next order. Many managers make the fatal mistake of training salespeople to ask for referrals as soon as they make a sale. That’s not a big mistake, that’s a HUGE mistake. Maybe even a fatal mistake. You haven’t even delivered. Why would anyone in their right mind want to help you before you have helped them? Making the sale is a gateway to a relationship. All you have to do is everything else. 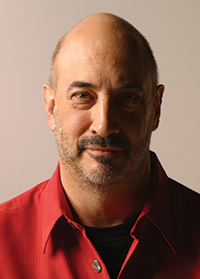 Jeffrey Gitomer is the author of twelve best-selling books including The Sales Bible and The Little Red Book of Selling and The Little Gold Book of Yes! Attitude. His real-world ideas and content are also available as online courses at www.GitomerLearningAcademy.com. For information about training and seminars visit www.Gitomer.com or www.GitomerCertifiedAdvisors.com, or email Jeffrey personally at salesman@gitomer.com.